Return to Home > Creatine>Megabol - Creatine Alkaline 120 caps. Megabol - Creatine Alkaline 120 caps. 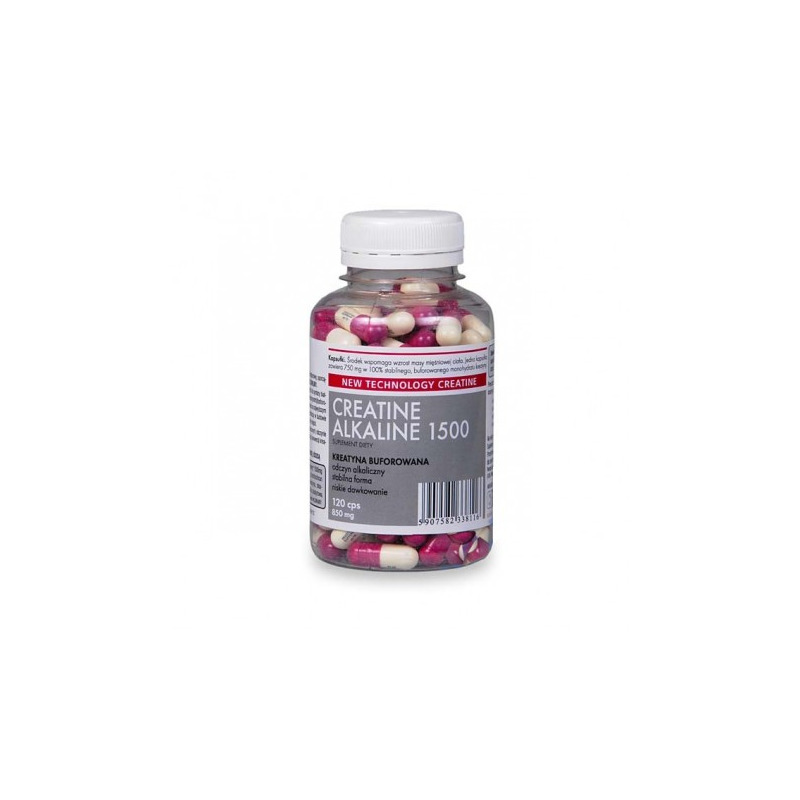 CREATINE ALKALINE 1500 is the latest generation creatine supplement, produced in accordance with the description of theUnited States Patent 6,399,661. Product facilitates transportation of phosphoric compounds used in protein synthesis. Creatine maintains approriate ATP level (adenosine triphosphate) in muscles, which allows muscular fibers to work at their best during physical effort. Creatine takes part in fatless muscle mass building and increases muscle strength. 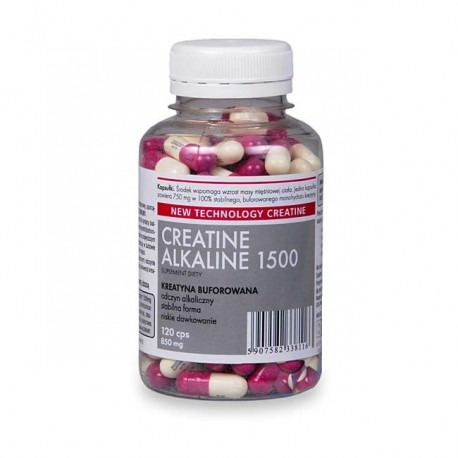 CREATINE ALKALINE 1500 is a form of creatine characterised by high (alkaline) pH level. According to the patent publication this feature reduces convertion of creatine to creatinine and its greater durability in solution. On Training Days: 2 capsules of creatine in the morning on an empty stomach and 2 capsules before a workout at the gym. Ingredients in serving (2 capsules): buffered creatine monohydrate* 1500mg (creatine monohydrate - 1125mg, soda ash, magnesium glycerol phosphate, natural flavor), maltodextrin, magnesium stearate- anti-caking agent, porcine gelatin- capsule.